A portrait of Prince William, together with a photograph captured by him, bowed out for u00a324,000 at a charity auction in London last night. A portrait of Prince William, together with a photograph captured by him, bowed out for £24,000 at a charity auction in London last night. The picture of Prince William was captured by former rough sleeper Jeff Hubbard in a project to raise funds for the homeless charity Crisis. The ?diptych? also featured a shot of Jeff taken by the prince. 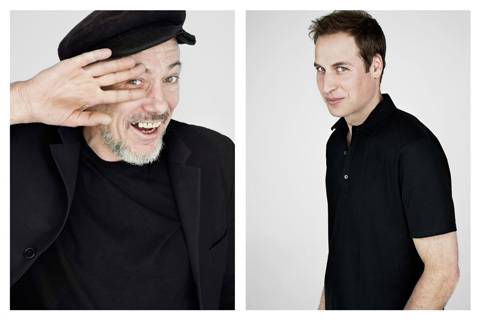 Both images were taken under the guidance of Rankin, in the renowned photographer?s studio. Photographs by legends Henri Cartier-Bresson and Elliott Erwitt also starred in the auction, which was held at Somerset House.